If you thought only the smaller four-cylinder diesel cars were affected in the global Volkswagen emission scandal, think again. The US environmental regulators said on Monday that Volkswagen used tampered software devices to cheat air pollution tests even in its diesel luxury line, which include Porsche and Audi. The US Environmental Protection Agency said it is now looking at 3.0-liter six-cylinder diesel engines that are used in bigger, expensive cars like the Porsche Cayenne SUV. According to the EPA, around 10,000 luxury cars have the defeat-device. 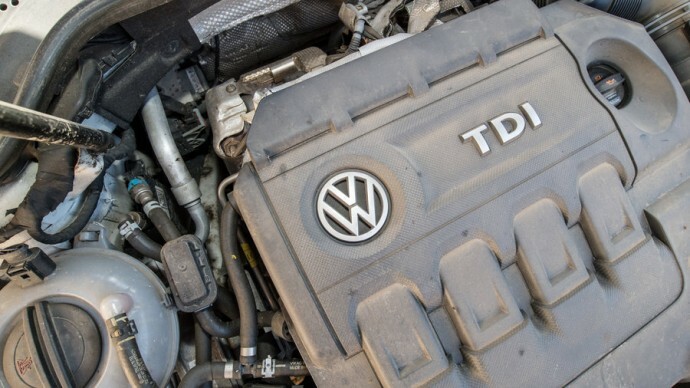 “The latest revelations raise the question, where does VW’s road of deceit end?” said a joint statement by Members of House and Energy and Commerce Committee. The US regulators have informed owners of effected car that it is still safe to drive despite their cars spewing nitrogen oxide that causes smog and respiratory problems. The new blow for VW will result in more financial problems for the already troubled company. The estimated fine per car is about $37,000, which means another $375 million in potential fines is now added to the ever increasing tally that’s already in billions of dollars. VW had previously stated that it is reserving $7.38 billion to fund recalls. The fresh charges come after just 2 months of the first, but repairs of the affected cars will take much longer than that. The company estimates it will take a year or two to fix all of the four-cylinder cars. Yamaha's Motorcycle-Robot "Was Created to Surpass You"